It’s only after you struggle through the first year you have your baby when you wish someone had told you how the first year would be. There are a lot of things that you will learn in the first year of being a parent. Now, ignorance is bliss, but you will want a heads up on a few things to be sure. No matter how much reading, studying and Google searches you do, there will be those moments you are at a loss for words. 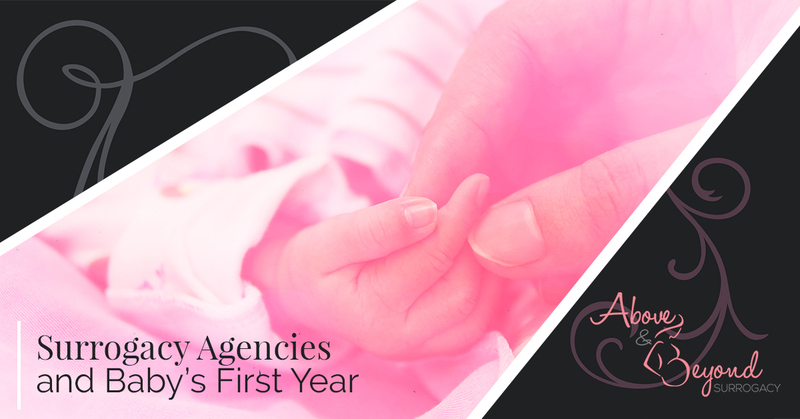 Above and Beyond Surrogacy, your surrogacy agency, offers these tidbits you should know about your baby’s first year. Having a baby is an emotional roller coaster. One day everything will be peachy keen and the next day it all goes south and you can’t figure out why you are crying. The rule of thumb is not to worry about it, you are allowed to cry whenever you want and as often as you wish. We do hope that most of the tears are because you feel overjoyed. If not, it’s OK to talk to someone about it. If your baby is not sleeping properly, don’t feel you are doing something wrong. All babies have different sleeping patterns and yours might be the type who takes longer to fall asleep. Just remember that you can’t ruin them for life because they don’t sleep in a pattern that you read. If there are other parents telling you their baby sleeps on schedule and all through the night in the first year, they are lying. Seriously, babies are like adults in the sense that some will sleep better than others. But sooner or later, your baby will fall asleep every night. Don’t ever let anyone tell you that you aren’t doing a good job. There is no one way to be a parent and there are literally thousands of ways to be a good parent. And just because somebody doesn’t see that, it’s their problem, not yours. Here is another chunk of wisdom: You don’t have to listen to your parents or grandparents, just listen to your gut instincts. You will obsess and talk to random strangers about your baby’s bowel movements. When you have a baby, poop is a subject as common as talking about the weather. Don’t be alarmed by what you will find in their diaper. You will experience poop in a variety of colors and shades, a variety of smells and variety of textures. So brace yourself. The first year of being a mother is very special and it is like something you have never experienced before. Every day is a miracle. Every day is a journey. It is over all too quickly and you won’t remember much of it, so preserve the precious moments by taking a lot of pictures. If you are interested in becoming a parent, give Above and Beyond Surrogacy a call.